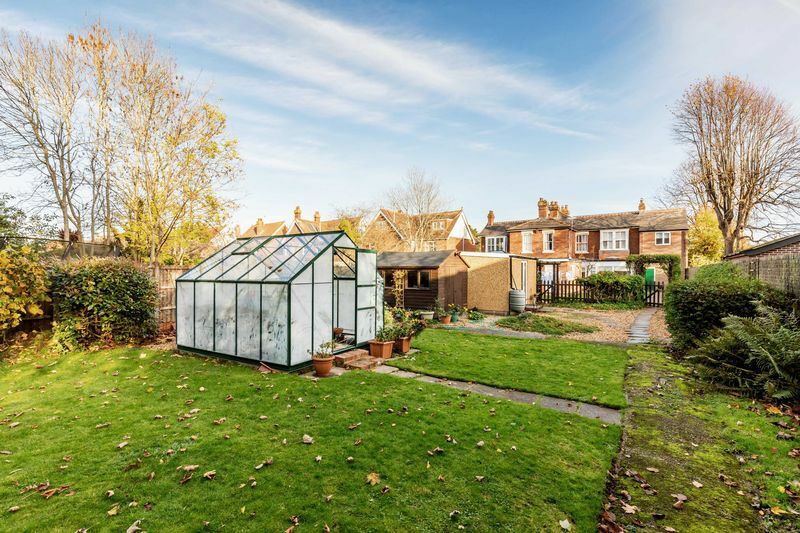 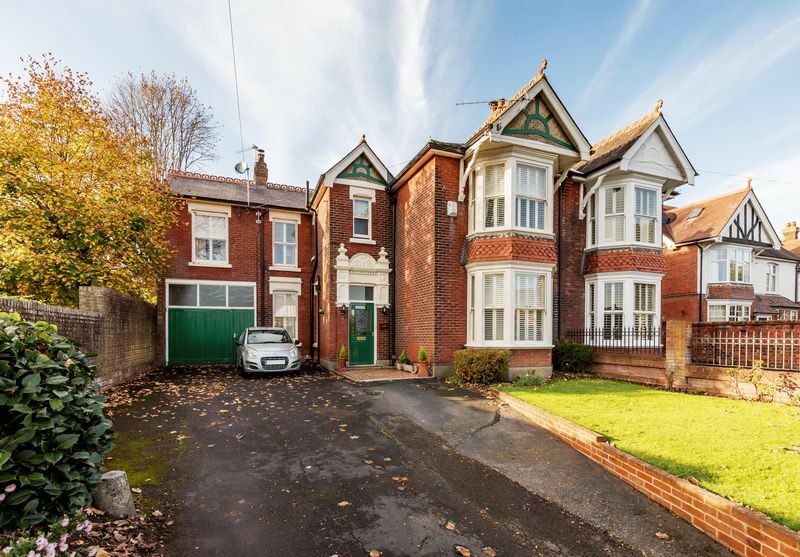 A substantial Edwardian family residence of generous proportions, set within a plot extending to almost 0.25 acres, located in one of Havant’s most desirable residential locations. 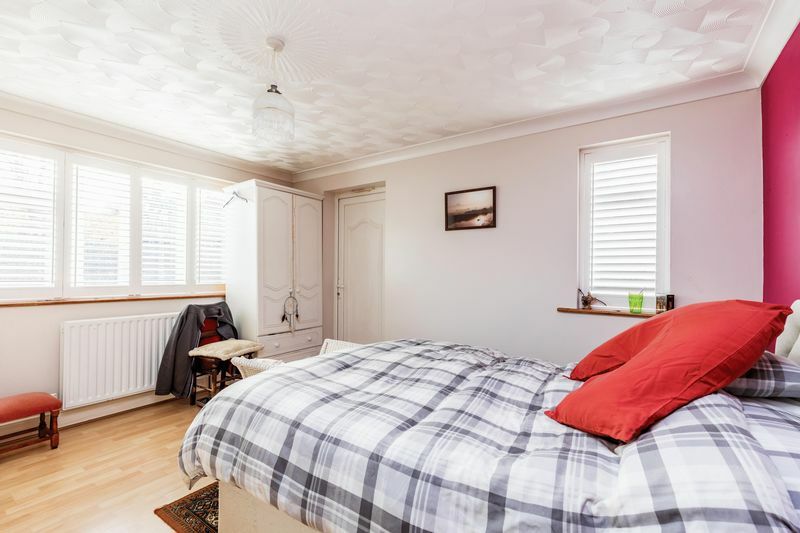 With accommodation extending to almost 2700 sq. 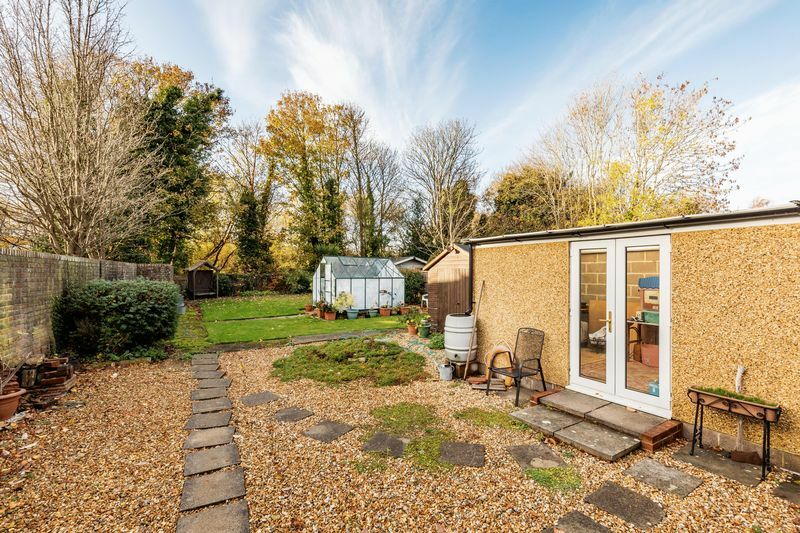 ft., this conveniently situated home lies within walking distance of Havant town centre and it’s mainline railway station, and also the picturesque harbour foreshore at Langstone via nearby Wade Court Road. 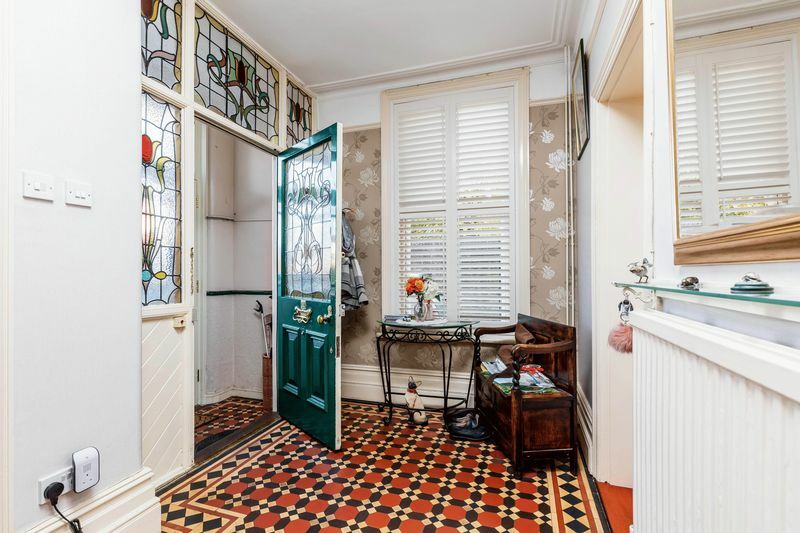 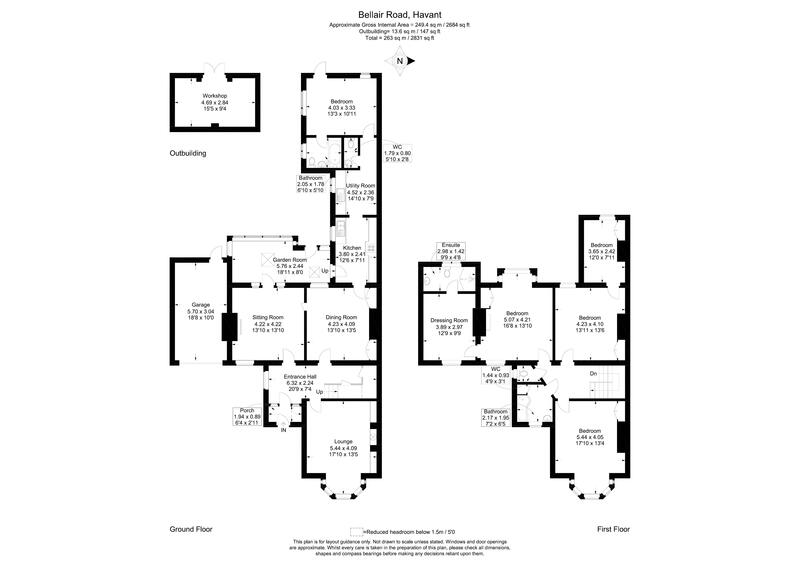 Retaining many original features the accommodation comprises entrance porch and hallway with decorative tiled floor, front door with ornate brass door knocker and leaded light stained glass design and side panels, a balustrade staircase leads onto the first floor with under stairs storage cupboard. 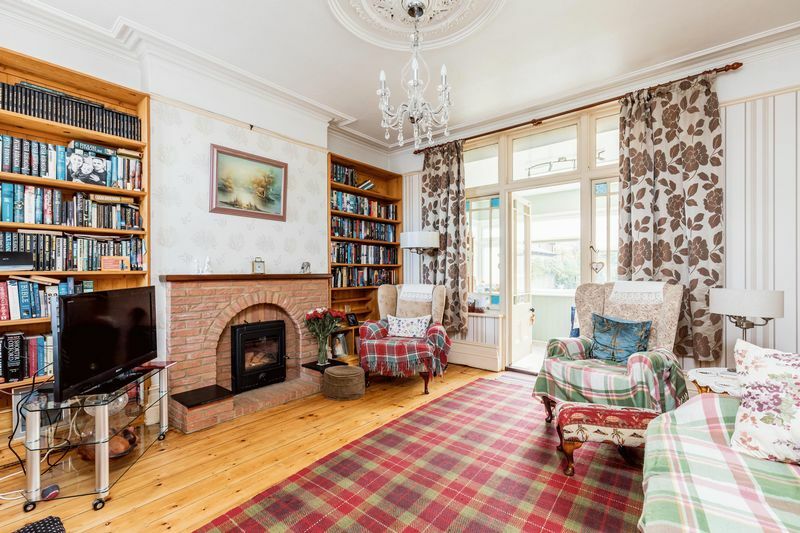 The lounge has stripped wooden flooring and wood burning stove with a tiled hearth, ceiling cornice and picture rail, a bay window with shutters overlooks the front of the property. 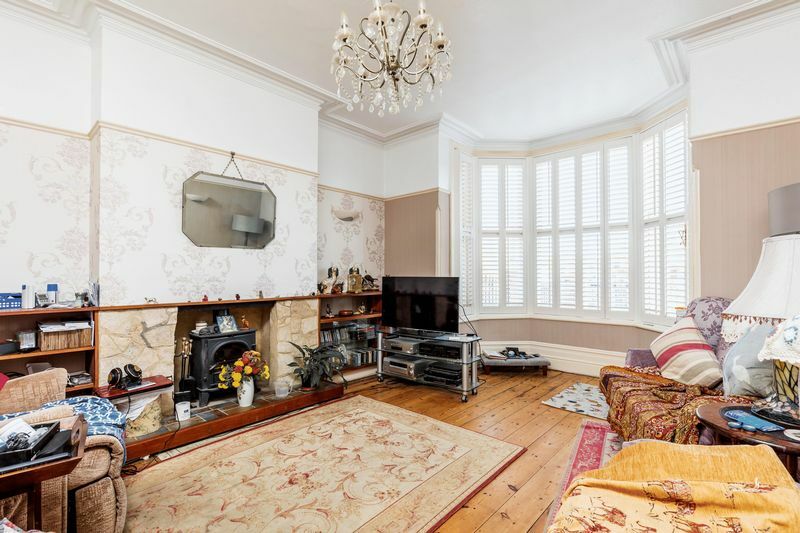 A separate sitting room also has a wood burning stove set in an exposed brick fireplace, ceiling cornice, decorative central rose and picture rail. 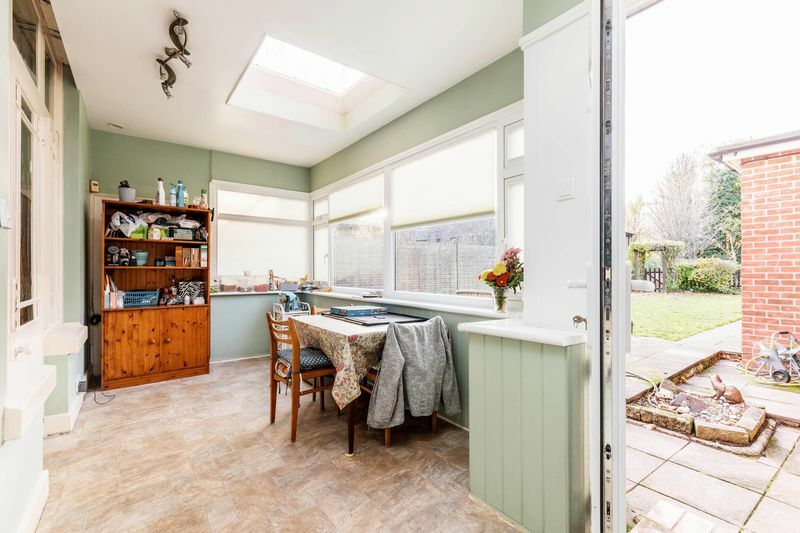 A door leads onto the garden room which has double glazed windows overlooking the rear garden and a door onto the outside. 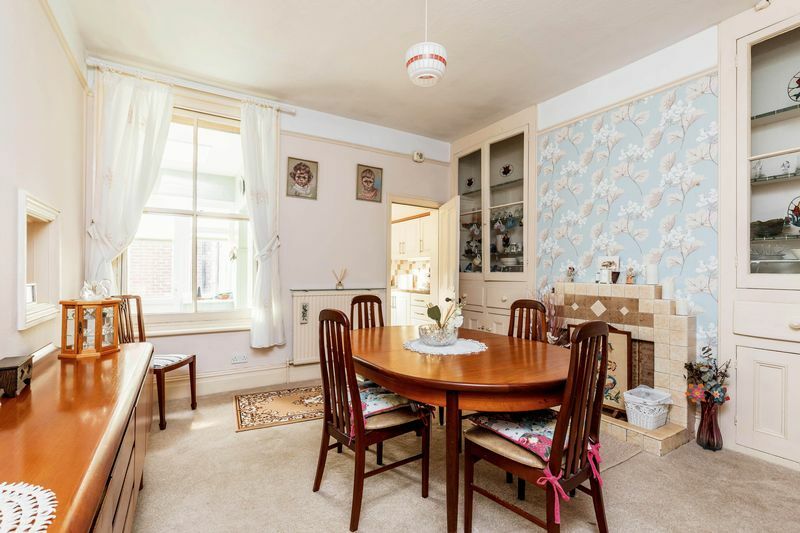 The dining room has a tiled fireplace and set to either side are two dresser units with glazed display cupboards, drawers and cupboards below. 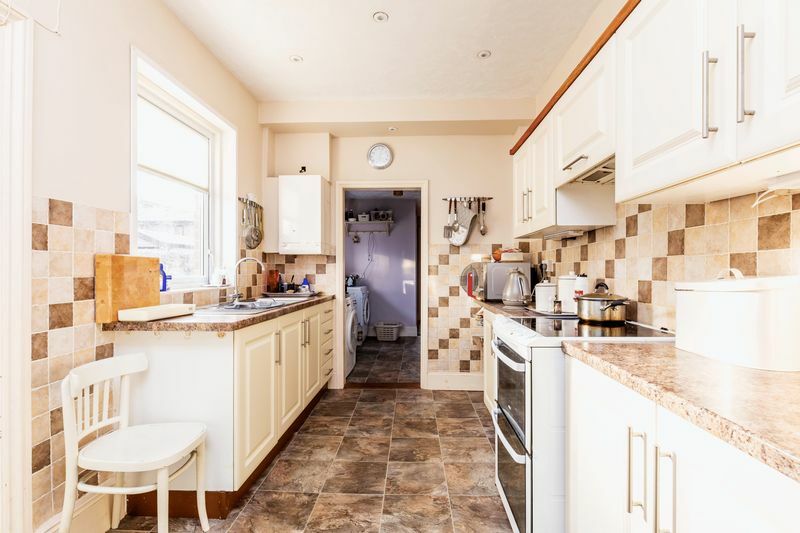 The kitchen is fitted with a range of drawer and cupboard base units with working surfaces and tiled surrounds, a double bowl sink unit and recessed ceiling lights. 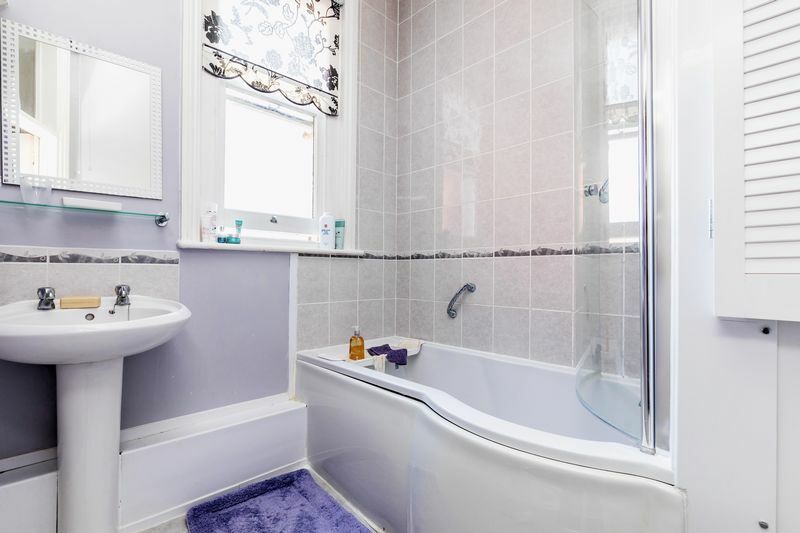 An opening leads onto the utility room with a butler sink, space and plumbing for a washing machine, there is also a cloakroom with w.c and wash basin. 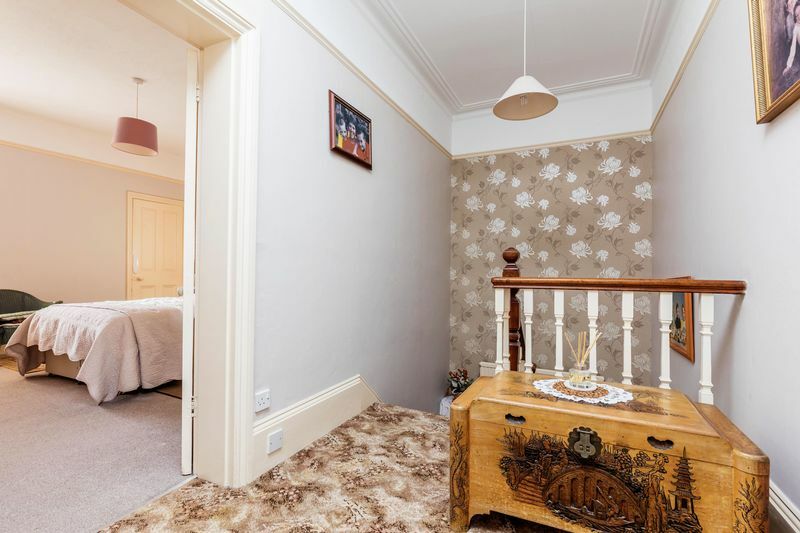 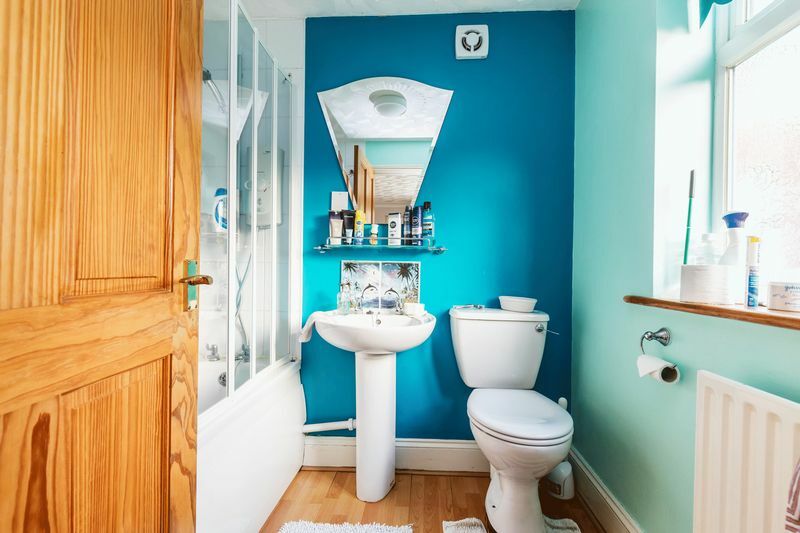 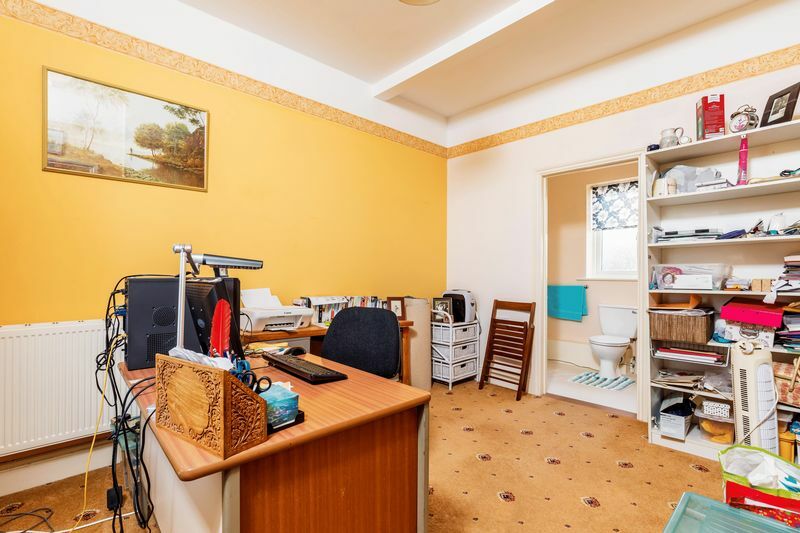 A doorway leads onto a ground floor double bedroom, located at the rear of the property which would provide an ideal annexe with its own en-suite bathroom with paneled bath having shower above, w.c and wash hand basin. 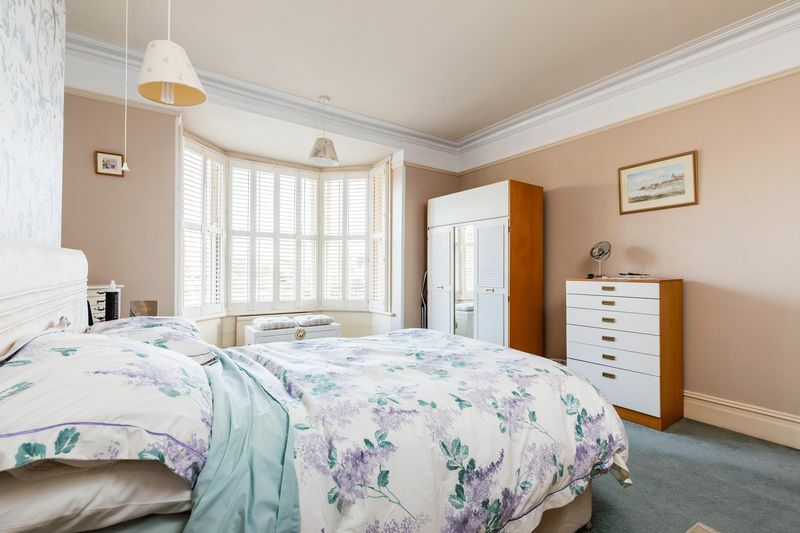 On the first floor there is a ballustraded landing and master bedroom with square bay window with shutters and aspect over the rear garden, there is an attractive original fireplace, built in wardrobe cupboard, ceiling cornice and picture rail, a door leads onto a dressing room with an en-suite shower room with shower cubicle, w.c and wash hand basin. 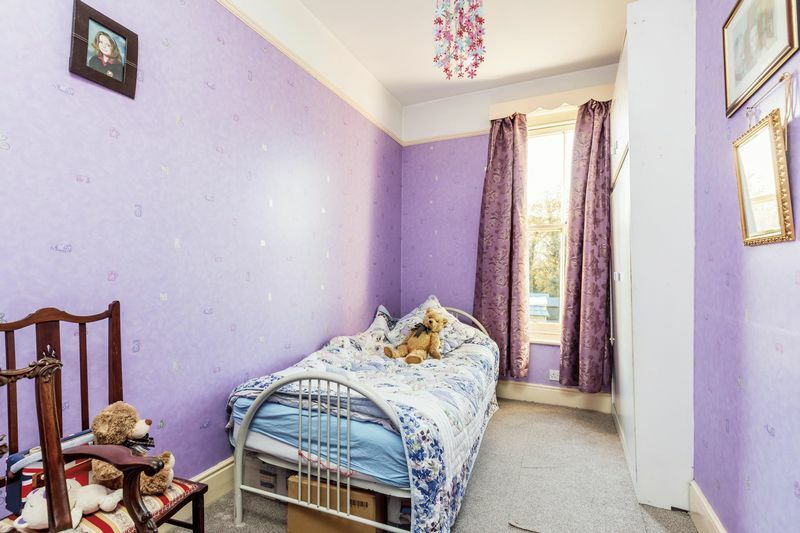 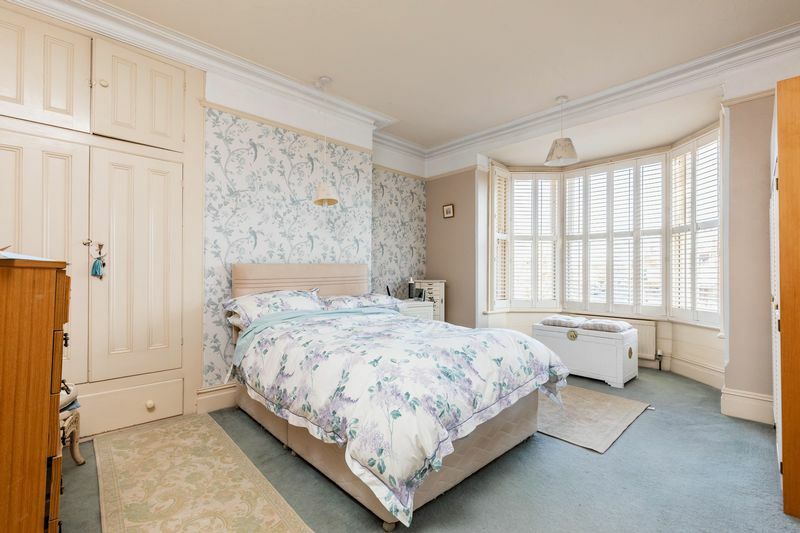 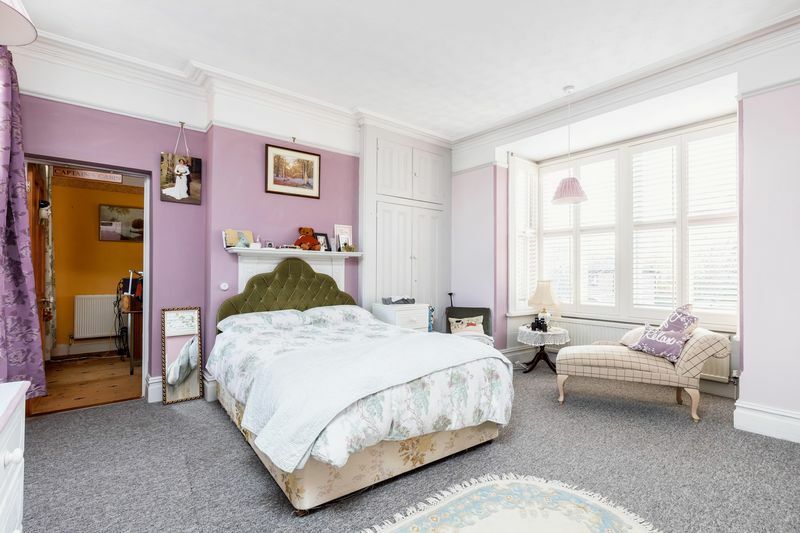 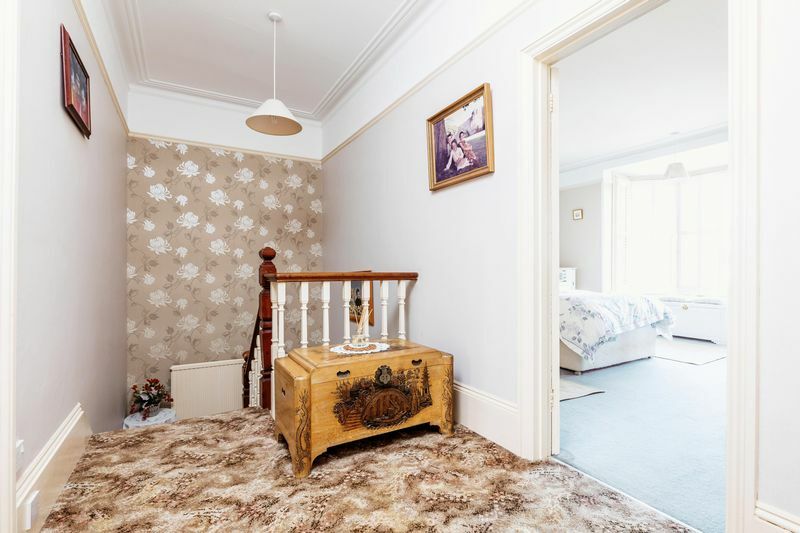 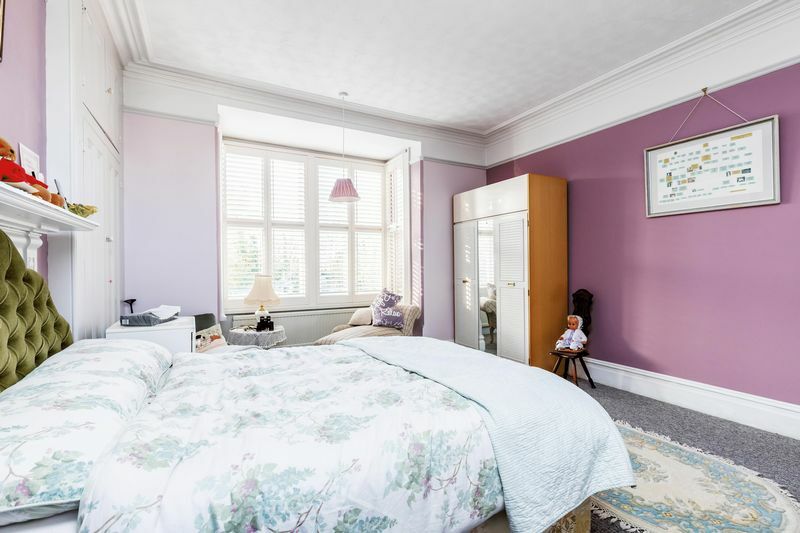 Bedroom two has a bay window with shutters, built in wardrobe cupboard, ceiling cornice and picture rail, the third bedroom has an original fireplace and built in wardrobe cupboard and door leading to the fourth bedroom which has an aspect over the rear garden. 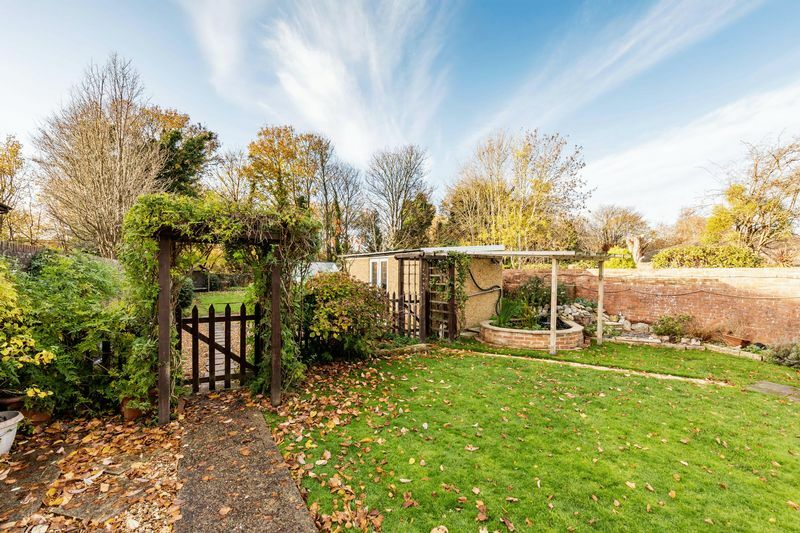 Enclosed by brick walls topped with railings to the front and side the front garden is laid to lawn and has its own driveway affording parking space for multiple vehicles, leading to the good sized garage with a sink and door onto the rear garden, which measures 157’ x 41’ and is divided by picket fencing into two lawned areas and a central shingled section. 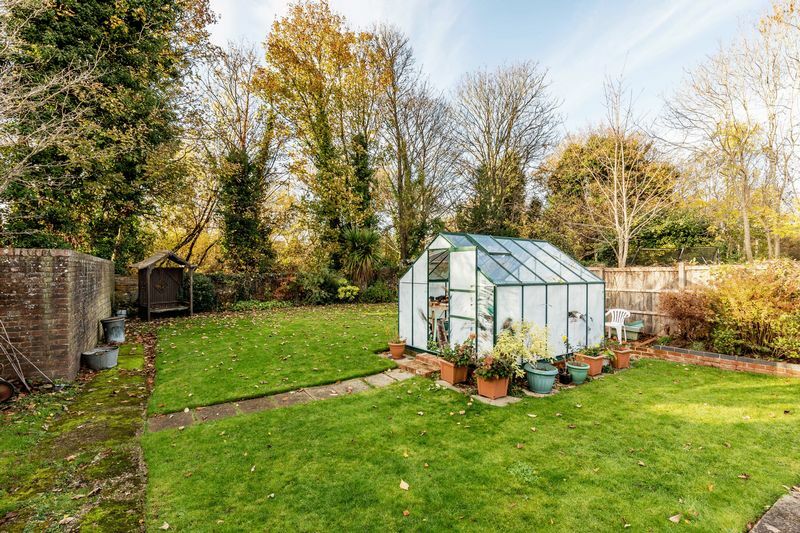 Within the garden there is a block built workshop with power and light, a large timber shed and greenhouse, there is also an ornamental pond with a waterfall feature. 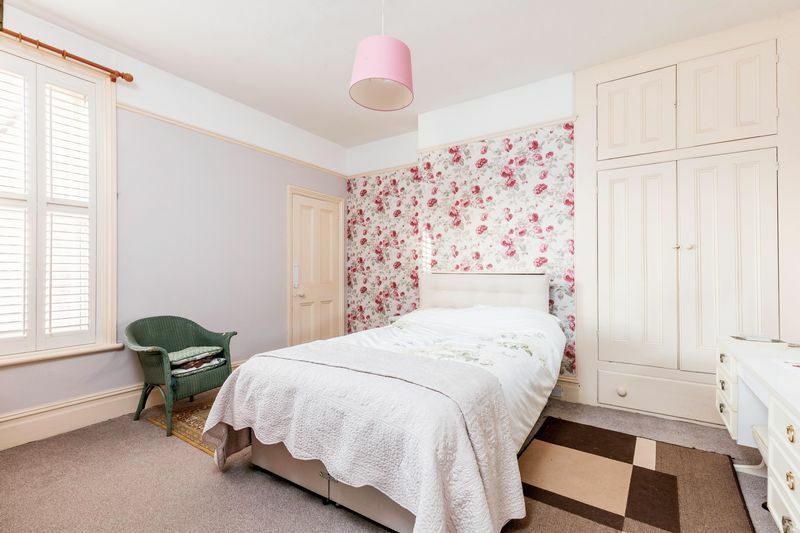 The property is conveniently situated within walking distance of Havant town centre which has good high street shopping including a Waitrose supermarket, a selection of pubs and restaurants as well as leisure facilities to suit all. 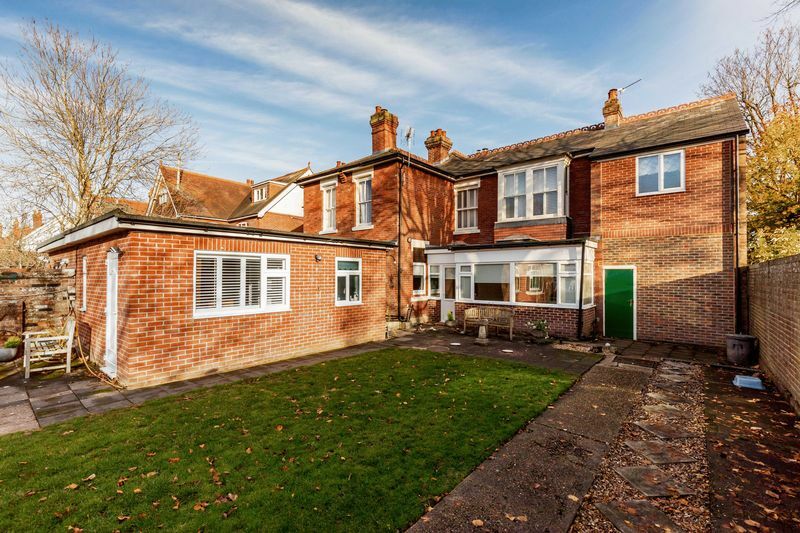 Good transport links with the main bus route and train station (mainline station to London Waterloo) close by. 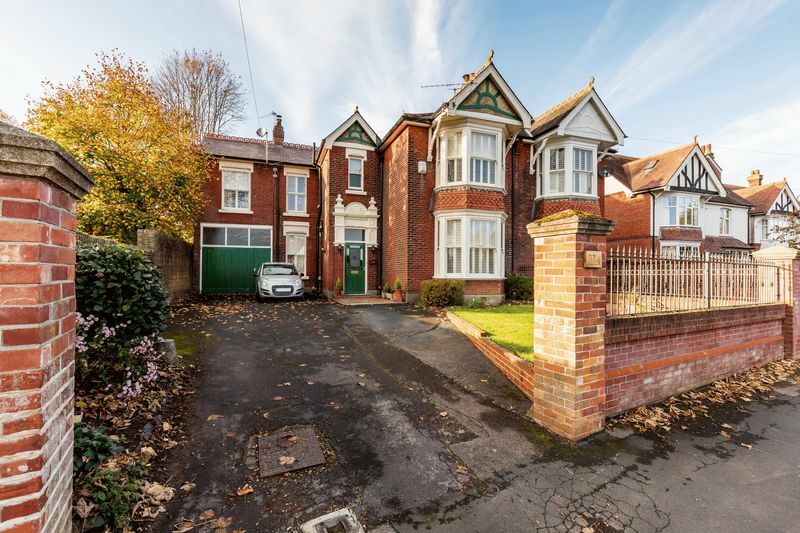 The property is also ideally placed for easy access to the A27 and the A3.